Sharing your personal health data is not something to take lightly. However, uncertain diagnoses and unusual comorbidities can leave patients desperate to gain any insight into their condition. Worried patients often join online threads and Facebook groups to share their symptoms, hoping someone else can shed some light on their condition. They start to self-diagnose and choose their own treatment paths. This can be dangerous though and has been shown to lead to health complications that are at times irreversible. In the age of increasing technological advancement, healthcare remains crippled with paper forms, faxes, data entry and excel-based analysis of health data -- supposedly to protect patient privacy. Due to stringent privacy laws, patient data is scattered in multiple forms and across multiple technologies. Such mechanisms are intended to serve the patient, but when coupled with dated technology use, they cause more problems than solutions. They limit necessary data sharing and transparency. In patients with brain-based disorders, accessing care and sharing one’s symptoms becomes especially complicated. The burden of care coordination lies on patients and their caregivers. Given the number of comorbidities in many cases, multiple different clinicians and care providers need to collaborate and be coordinated in order to provide the right care and deliver better outcomes. When patients must jump through hoops to do so, the industry ends up driving a standard of privacy that patients themselves don’t want to comply with. In a study published in Autism Research, researchers addressed the importance of obtaining a deeper understanding than the general overview received during a short office visit. The study focused on acquiring a better picture of autism’s day-to-day impact, as researchers emphasized how monitoring these effects leads to better insights and patient-centered care. Clinicians also agree that a 360-degree view of a patient improves outcomes, and that accessing this view depends entirely on transparent information sharing. Unfortunately, because patients encounter barriers just to get their own data, access a clinician or get their question answered, it’s virtually impossible to obtain the data necessary for a 360-degree view. A recent Stanford study showed that most clinical trial participants consider the benefits of sharing individual data to outweigh the risks. When surveyed about the idea of making personal data collected in studies widely available (after individual identifiers were removed), 93% of respondents were very or somewhat likely to share their data with scientists. Most respondents said they’d still share their information regardless of the purpose for which their data would be used. Trayt’s primary focus is to improve outcomes by streamlined tracking and sharing of a patient’s symptoms, environment and treatments. Trayt upholds the crucial aspects of privacy by creating maximum security and ensuring that patients consent and are fully aware before they share any data. Trayt’s digital platform further removes the barriers to transparency, enabling collaborative communication. Since patients’ symptoms are evaluated through long-term data analysis platform, valuable insight into how a patient’s disorder affects them is never lost. Our core functions help easily and securely share this beneficial information amongst chosen family members and clinicians; when clinicians and families can access and understand the best data, they can work together better. This increased transparency and data sharing not only improves patient satisfaction and clinician work flow, it also impacts costs and outcomes. In an industry where clinical trials have an average of 30% attrition rate and 50% overall compliance with following treatments and completing psychometric outcome measures, Trayt’s collaborative and patient-centered platform has proven to create significant efficiencies and even more meaningful benefits to research and results. Instead of spending time and money on paper forms, faxing and data analysis, researchers can collect, access, and analyze data in an integrated, online platform during observation and in between visits. 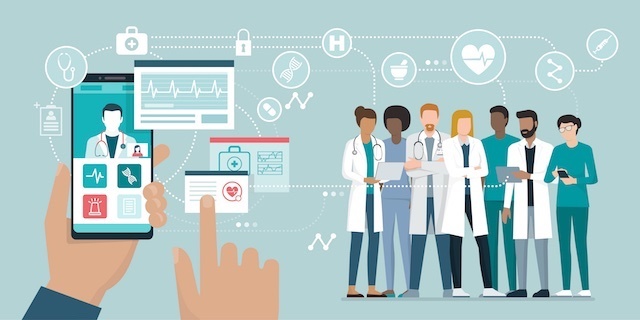 By digitally connecting with patients through a HIPAA compliant program, researchers obtain better insights while increasing subject compliance and retention through notifications, frequent outcomes tracking, and other patient engagement tools. New trends towards value-based care and outcomes driven economics are causing providers and patients alike to demand better outcomes at a lower cost of care; the industry’s current methods cannot meet these demands. Given that the average family must travel 90 minutes before they reach a care provider in neurodevelopmental and other neuropsychiatric disorders, Trayt is partnering with HIPAA compliant telemedicine platforms to increase transparency and collaboration and help families and physicians find the best treatments quicker – without all the added costs, travel times and bureaucratic delays. Trayt hopes to align the medical industry so patients don’t need to solely rely on online support groups and self-diagnosis methods to gain insight into their conditions. Protecting personal information is still of tantamount importance, but transparency and improved communication are essential to breaking information silos and providing better outcomes. We support the sharing of health data between patients, personal family, clinicians and researchers for a patient’s benefit, but we never sell our patient data, ever. Trayt is 100% compliant with HIPAA standards that protect Patient Health Information. Our purpose is to enhance the insights gathered to benefit you -- whether you are a researcher, clinician, patient, or family member. In an age where opportunities for information sharing abound, Trayt recognizes the need for gathering and sharing detailed and holistic patient data, while maintaining privacy and security. We pride ourselves on finding the balance that protects patients and their data, while creating useful and safe transparency -- information sharing that you are in charge of, collaboration that improves outcomes, and efficiency. Trayt removes the barriers patients too often encounter in healthcare. As a result, we can all move towards a world of better treatment and better data security.